"Some people dream about going to their high-school reunion in their underwear. Dave Barlow goes to his and finds himself worse than naked--unrecognized. A lovely, twisty thriller that moves like a roller coaster--ratcheting up the suspense, then plunging into crisis, or doing a swift loop-the-loop through the flashbacks of PTSD before the climb starts again." -- Diana Gabaldon, New York Times bestselling author of the OUTLANDER series. 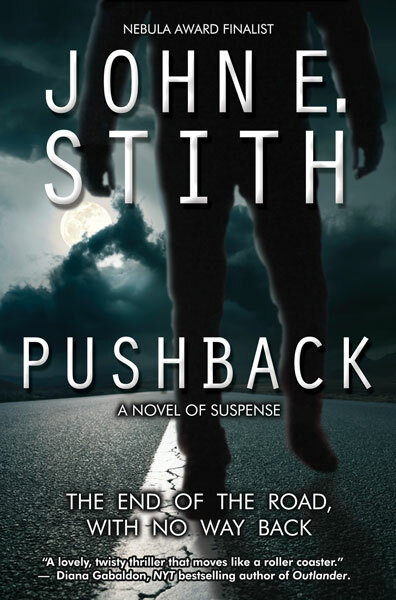 “PUSHBACK is a fast-paced crime novel guaranteed to keep you reading into the night. Accelerating through enough twists and turns to keep you guessing, PUSHBACK ramps up to a heart-pounding ending that will leave you breathless. Stith, known for his award-winning science fiction, really brings it home in his debut mystery. Bring on the next installment!” -– Chris Goff, author of RED SKY. 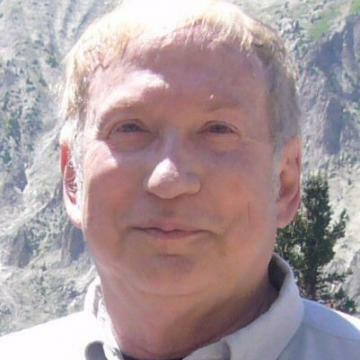 "John Stith long ago showed himself master of the science fiction genre. With PUSHBACK, he proves he’s also a terrific mystery novelist. PUSHBACK is dynamite! Stith takes you on a gripping ride of twists and turns while the tension tightens like a noose, right up to the thrilling conclusion. A sympathetic and enterprising hero and a stop-at-nothing villain will make you just as eager as Dave Barlow to figure out who wants to ruin him. And who wants him dead." -- Barbara Nickless, bestselling author of the Sydney Parnell mystery series. At his ten-year high-school reunion, Colorado investment counselor Dave Barlow, who suffers from PTSD, finds he doesn't know one person there, and soon realizes he must outwit an unknown antagonist before he winds up dead. Formats published on November 1, 2018. Audiobook due from Audible. ISBN & date TBD. Cover design by Kavin King. Stith’s work includes best sellers, a Nebula Award finalist, a Seiun Award finalist, a La Tour Eiffel Science Fiction Book Prize finalist, HOMer Award winners, and Science Fiction Book Club selections. Most of his novels were first published by Ace Books and Tor Books. His work has also appeared on the New York Public Library Best Books for Young Adults list, Science Fiction Chronicle’s List of Year’s Best Novels, and the yearly Locus Recommended Reading Lists. His books have been translated to French, German, Italian, Japanese, Portuguese, and Russian and are even available in braille for the sight-impaired. His science fiction stories have been categorized as “Hard science fiction,” a label given to those stories thoroughly researched to play fair with the rules of science; something any die-hard SF fan can appreciate. 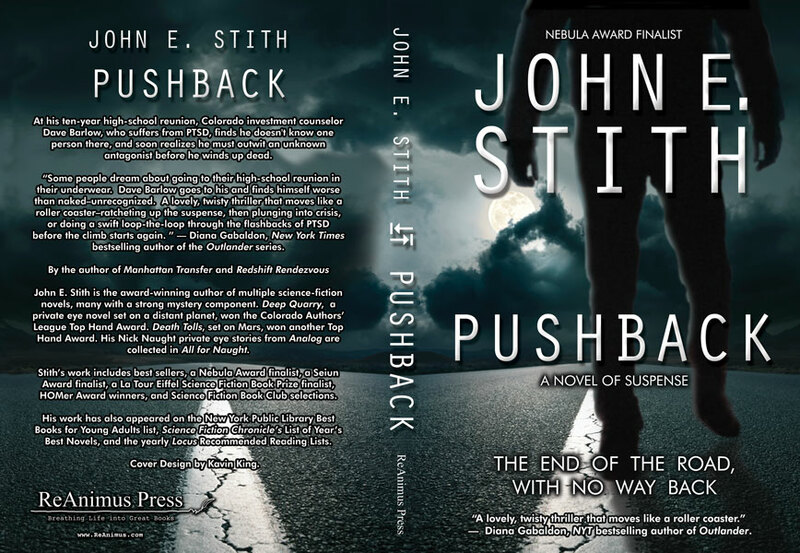 PUSHBACK is his debut mystery novel, though readers will find both suspense and thrills in his Science-fiction novels, as well. He has appeared on a live nationwide PBS broadcast or Science-Fiction Science-Fact (SF2) and his work has also been sold to film and television. His novel Reckoning Infinity was chosen as one of Science Fiction Chronicle’s Best Science Fiction Novels of the Year, Redshift Rendezvous was picked as a Nebula Award nominee and Manhattan Transfer received an honorable mention from the Hugo Awards and a nomination from the Seiun Award in Japan. Stith is a member of Mystery Writers of America (MWA) (former regional VP), International Thriller Writers, Science-Fiction and Fantasy Writers of America (SFWA) (former Contracts Chair), Rocky Mountain Fiction Writers (RMFW), Colorado Author’s League, and a past member of Mensa and Writers Guild of America (WGA). He lives in Colorado Springs, Colorado. ReAnimus Press was founded by Dr. Andrew Burt, a former Vice President of Science Fiction and Fantasy Writers of America, Inc. ReAnimus Press is proud to work with bestselling and award-winning authors such as Ben Bova, Robert Silverberg, Ursula Le Guin, Norman Spinrad, and many others. In 2014, ReAnimus acquired the venerable, Hugo Award winning publisher Advent Publishers, and is in the process of releasing new ebook and print editions of all Advent's titles. Dr. Andrew Burt founded the first Internet Service Provider (Nyx.net - providing free web hosting and email to all) and the first writers' workshop on the web (Critters / Critique.org), edits Preditors & Editors, and has been a computer science professor at the University of Denver and CEO of web design / hosting / custom software development company TechSoft. He's the author of one novel and dozens of short stories. Amazing Stories: "... good, old-fashioned, sense of wonder SF. ... an excellent read." Analog: How can you possibly resist?... Superscience SF in the classic vein, fast-moving, heroic...loaded with sensawunda. You'll love it." Booklist: "absorbing, fast-paced action and witty dialogue." Chicago Tribune: "Fascinating, intelligent account of people--some ordinary, some extraordinary--struggling to define and confront events that are beyond anything they have dared to imagine. One of the better surprise endings to come down the cosmos in light-years." Denver Post: "Another blockbuster idea. A big book of spectacle, adventure and mystery, as Stith does a wonderful job of drawing out the suspense and twisting the plot in new directions." Isaac Asimov's SF Magazine: "I let a couple of John Stith's SF mysteries go by without checking them out.... If I'd been a little faster off the mark, I could have turned you on to a good thing earlier...."
Kirkus: "Narrative momentum and plot nudges to keep readers guessing and turning the pages." Library Journal: "Stith's well-developed characters and the hard science propel this space-faring story. Highly recommended." Locus: "Entertainingly breakneck pace and considerable power at inventing techno-epic detail." Magazine of Fantasy & SF: "Sense of wonder story-telling at its best, with enough danger to keep me reading long past my bedtime. Come on. You've been good. You deserve to read Deep Quarry.... Stith can do it every time." New York Review of Science Fiction: "Some ideas are just too good to pass up... the pleasure is in the nonstop action and the problem the characters must solve." Publishers Weekly: "[Stith] has always had a real talent for describing bizarre environments...will offer fans of hard SF much to satisfy their sense of wonder." Rocky Mountain News: "One of the best science-fiction novels I've read in years. Stith has always been a master of hard science fiction. Unless there is a real surprise, I vote this the best science-fiction novel of the year." San Diego Union: "Furthers his reputation as an up-and-coming hard-science writer. Many scenes and situations that inspire that much-coveted 'sense of wonder.' Exciting, thought-provoking summer reading." Science Fiction Age: "[Stith can take] a mind-stretching concept and push it to its uttermost limits, all the while making the reader feel anyone could easily encompass each new development and twist, thanks to Stith's clear descriptive prose and keen visual sense." Science Fiction Chronicle: "Wondrous situations, marvelous discoveries, good characters, and a nicely tuned plot." Robert J Sawyer: "This is science fiction on a grand scale, full of stunning visuals of New York City being ripped from the surface of the Earth, vast starships, and intriguing extraterrestrials." Dan Simmons: "The list of science fiction authors who play the game the hard way by sticking to the rules of science is all too short. Now to that group which includes Clarke, Niven, Asimov, Bear, and Clement should be added the name of John E. Stith."